 The ACM-W UK Professional chapter held their first of a series of events called INSPIRE 2015 at Imperial College London in October 2015. Having over 60 participants (both ACM members and non-members) from academia and industry, the event got a good mix of multiple disciplines, and people from work and cultural backgrounds. Following the involvement of the chapter in the conference series of WomENcourage and Grace Hopper, the day was jam packed with great speakers from different backgrounds of academia and industry, discussing their challenges in research and motivation when it comes to women encouragement in computing. The day involved a number of speakers such as Prof Alex Wolfe, the president of ACM, based in Imperial itself, discussed the challenges ACM has faced over the years and how we can motivate more members to join ACM. He highlighted how being part of a big community can help find researchers a home to relate to when they are publishing or trying to find like-minded individuals. This was followed by the current president of ACM-W UK, Dr Mariam Kiran who discussed what the missions of the chapter were and how they plan to provide support for all (not just women) from all walks of like such as industry or academia, at different stages of their careers. The chapter aims to become a first port of call for advice, mentoring and find a forum to discuss challenges and solutions in progressing further in their careers or finding the right balance in work and family. The chapter aims to partner with established groups such as BCS and Systers to accomplish these goals. As the day progressed, there were various talks, particularly a very interesting talk by Bev Bachamayer from Intel, who discussed how her experience of working with Internet of Things and teaching girls in Germany and Africa has allowed her to become a lead in the IoT sector at Intel. Prof Daniela Romano discussed how she has balanced her career and family life, and becoming a successful professor in virtual reality and gaming. The ACM Europe conference chair Virginia Grande discussed some of her findings on why and how people volunteer for promoting ACM-like activities and what are the individual gains everyone gets. Further talks included Professor Natasa Milic Frayling, who discussed how everyone needs to rethink their career paths relating to their own situations and settings they exist in. Finally, the day ended with a talk by Professor Liz Bacon who discussed statistics on how many women and actually being lost through the leaky pipeline of engineering and the unconscious bias females face in the real world. All of the talks discussed some common themes which showed what the UK and ACM-W chapter could work towards. What do you call yourself – Names? A few participants mentioned how they have changed their names or used a shortened version, to allow to be more accepted in the community. By making the name sound a bit more like a bloke, these have noticed a considerable progress when applying for jobs and interviews. This was mirrored in the findings of the Harvard study where male and female candidates with similar capabilities for the same job had more successes of the male participant getting called in for an interview. Culture and diversity UK is an extremely diverse and budding society, but there seems to be disconnect between research groups either based on culture and society integration. Further measures need to be taken to help integrate multiple diversity in the computing fields, not only focusing on women but on everyone involved, at all stages of their career. Do what you like. A number of inspiring speakers repeated the theme and described how you will still be willing to do more because you would be enjoying your work. Computer Science allows people to innovate and introduce new ideas that revolutionalise the way we live living in a technology led era. So why would you drift away? Working on these themes and taking them forward, the day was a true Inspire event for ACM-W UK and have a number of theme to tackle over the next year. The event will be held on a yearly base moving across multiple universities and industries across the UK.